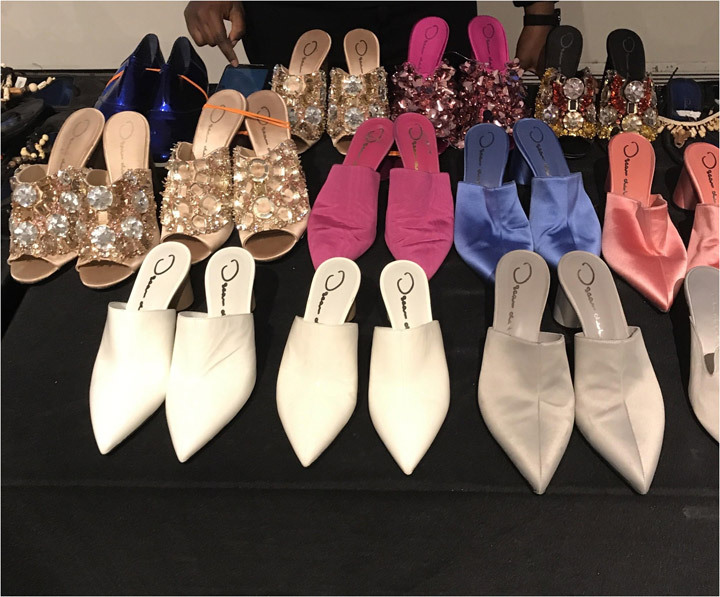 The crowd was not too thick in the midday hours on opening day of the Oscar de la Renta sample sale in Soho, which runs through March 24th. 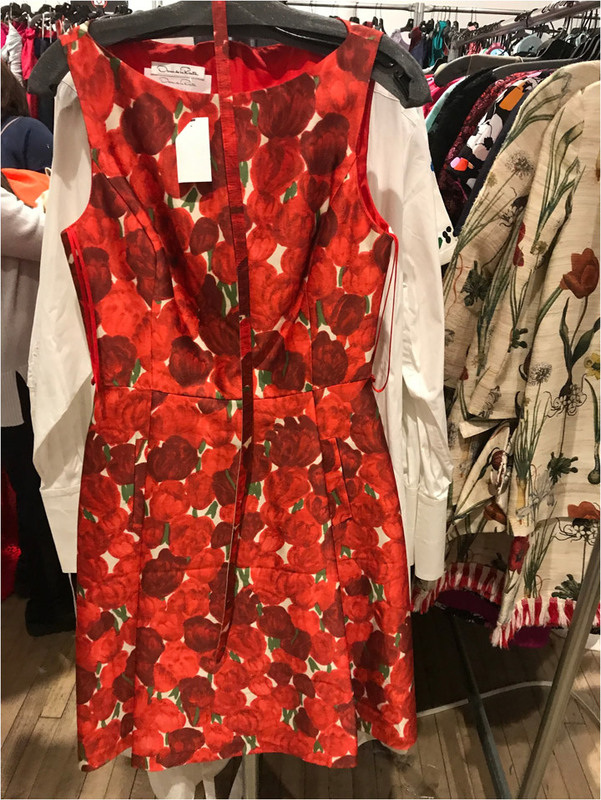 It featured a full line of merchandise ranging from De la Renta’s signature evening gowns, day dresses, Jacqueline Kennedy style sweater sets, childrenswear, separates, outerwear, and accessories. Bridal wear and footwear can be found on the lower level. The steepest discounts tended to be on bridal wear with some discounts as high as 75% off retail. Prices ranged from $1,000 for unembellished bridal gowns to $2,800 for exquisitely embellished gowns, (originally priced at $10K,). Sizes of the bridal gowns tended to range in sample size upwards to a couture bridal size 12. These gowns are made with an unparalleled eye for detail – some gowns even had lace trim on the interior zipper seams. 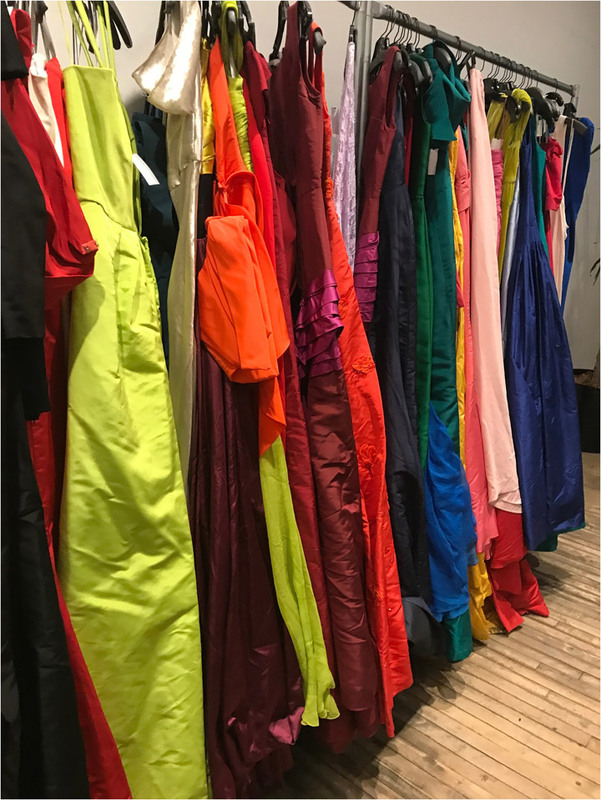 The evening gown selection is a vast and colorful collection of jewel-tones – structured silk in traditional silhouettes – princess-seamed, bustier-style, trumpet, etc. 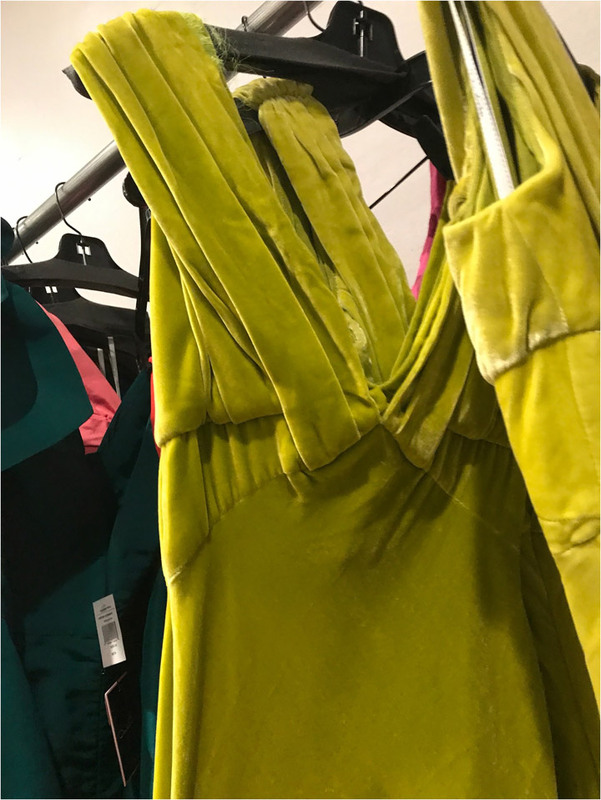 Standout pieces included a sleek bias-cut silk velvet chartreuse gown that feels even more luxurious than it looks, priced at $875. 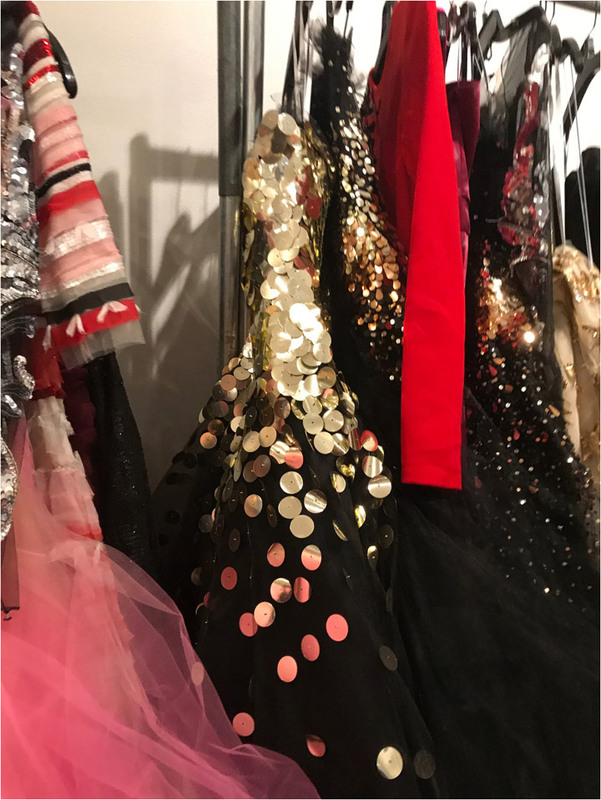 Perhaps the most “Oscar” of all the gowns is a stunning black tulle strapless dress encrusted with metallic gold paillettes cascading downward from the bodice. The shoes. The prices are incredible – ranging from $89 – $100. Mostly sizes 38 – 40. 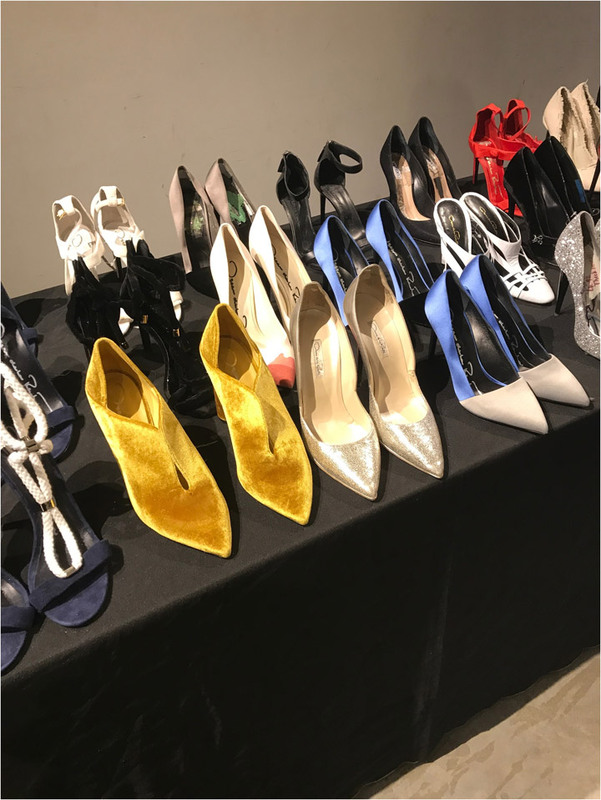 A great selection of evening wear shoes – both pumps and sandals. Unfortunately, the selection of slides and flats is minimal. 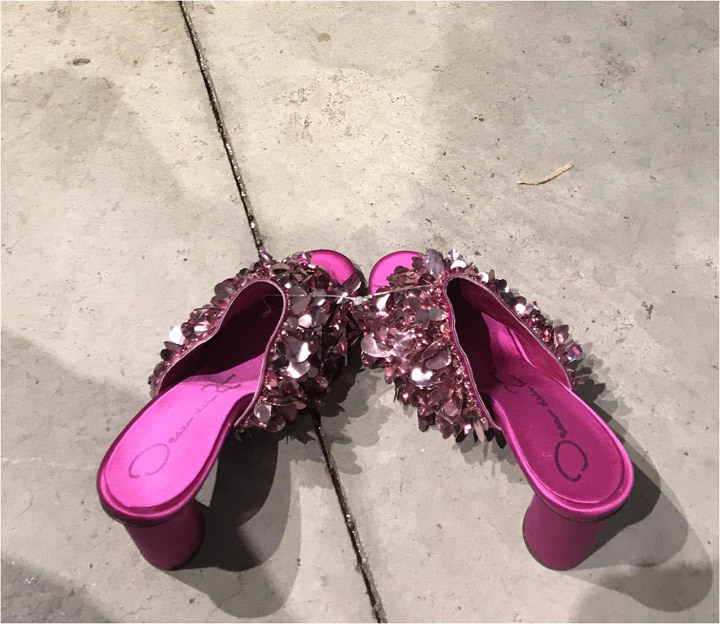 Standouts include fuschia mules encrusted with paillette sequins and beads. 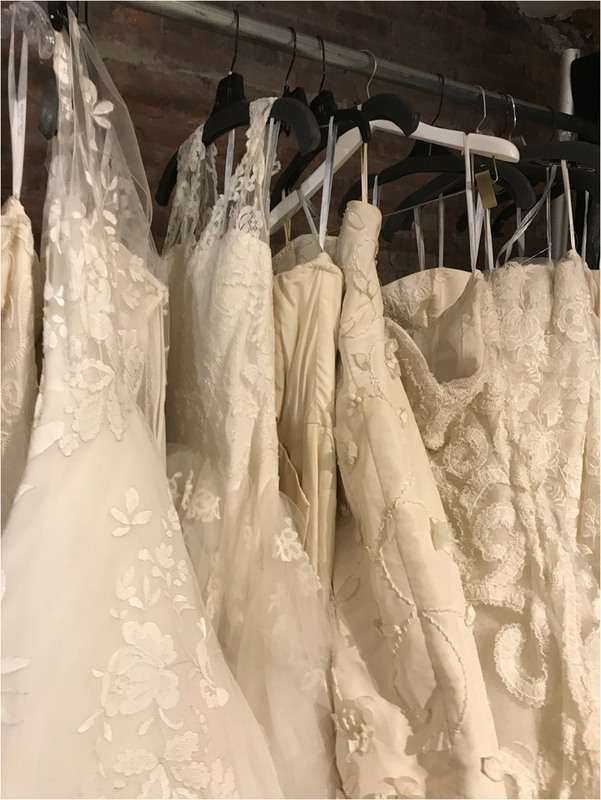 The day dresses ranged from $250 – $600 and had a fair range of sizes from sample size up to a size 16 – (a rarity at most sample sales). This section appeared to be a bit too reminiscent of “Stepford Wives” with cookie-cutter a-line dresses and floral sheaths for my personal taste. However, it appears this was the most popular section as child-clutching shoppers scanned for their next spring “shower” day dress. Tips: If you plan on attending please be advised that strollers are not permitted inside the sale, and coat and bag check is mandatory. 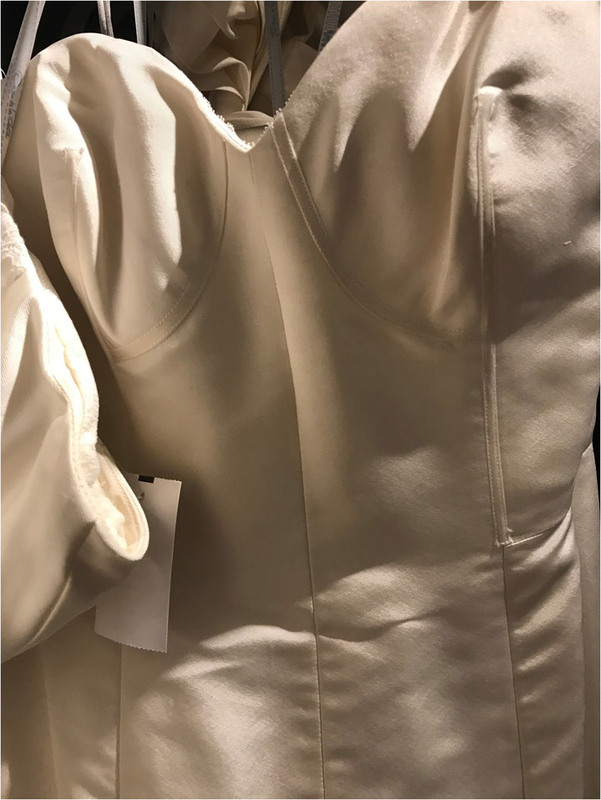 If you plan on shopping for gowns, it would be wise to wear the appropriate undergarments to provide a more realistic fit of anything that you may try on. It is crowded. Be kind. Oh, and bring some actual dollar bills so you can tip the coat check staff. Can someone please comment on the sizes? Any 14 or 16? 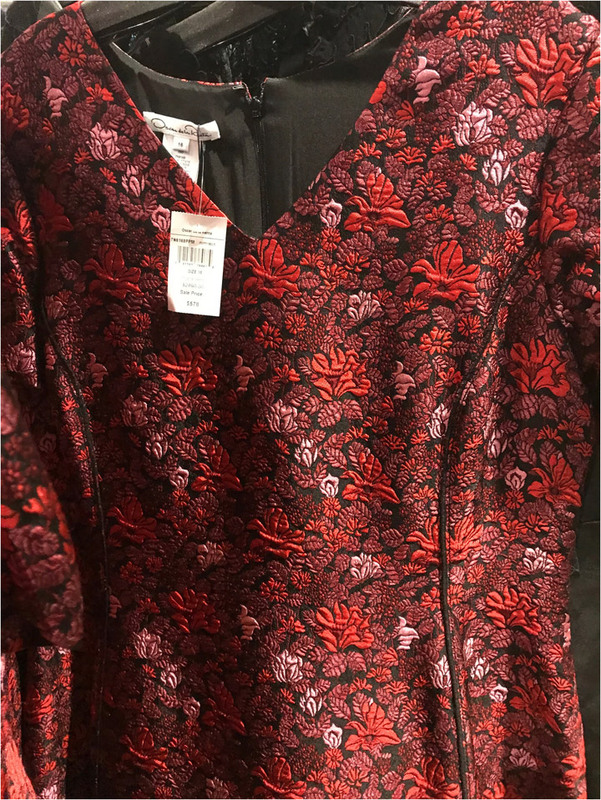 I did see at least one size 16 in the day/evening dresses, and there were plenty of size 12’s, while I didn’t actually see a size 14 I imagine there are some since there were some size 16s.